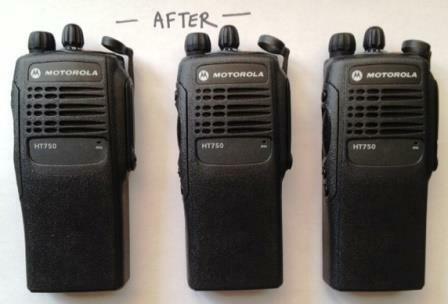 Your Motorola Portable two-way radio can be reprogrammed to meet the past FCC requirements for 2013. Find out more about our Narrowbanding Services for current and older models of Motorola radios. We are experienced at all types of repair services for Motorola Two Way and Portable Radios, right down to the component level. Find out more about the services we provide and our exceptional quality at competitive prices. Radio Technology, Inc. is the parent company of RadioTech, the nation's largest supplier of Fire Service Radio Accessories. See our online store for our full selection of cases, straps, batteries, antennas and other two way radio accessories. Please call us toll-free at 1-866-894-6115 for assistance. A 2004 mandate by the Federal Communications Commission (FCC), required that all public safety, industrial and business mobile radio users convert to a minimum 12.5 MHz narrowband efficiency technology by January 1, 2013. This mandate affects all mobile Part 90, 25 MHz efficiency systems operating on UHF (421-512 MHz) and VHF (150-174 MHz) frequencies. We have compiled a list of documents, websites and blogs that can be helpful in understanding more about narrowbanding and how it will affect users of mobile and portable two way radios. Find out about industry news, FCC mandates and product and service specials from Radio Technology, Inc. Enter your email address below. Welcome To Radio Technology, Inc.
Radio Technology, Inc. has been serving clients in the fire and emergency management services since 1993. 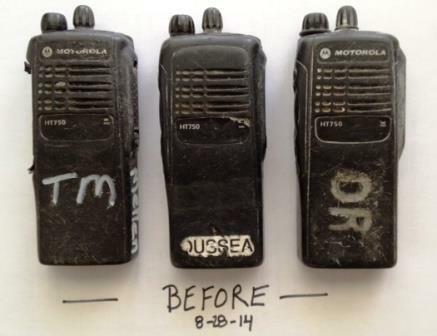 With more than 30 years of experience at component-level two way radio repair, we have serviced tens of thousands of Motorola two way radios, and continue to provide only the best quality in repair services to our clients. Our stringent levels of quality assurance and dedication to customer service have built our name as one of the most well-known and respected repair service providers in our industry. But we are, above all, an American company with strong ties to the people we employ and clients we serve. We come from a United States military and emergency service background, and we understand the importance of the equipment we service as a life-saving device. We never forget that what we do not only employs Americans, but helps to serve Americans that protect our homes and lives. When you choose Radio Technology, Inc., you are partnering with a company that understands more than technology, we understand our clients. Since inception, our mission has always been to provide the best quality in two way radio repair service and accessories at fair prices with quick turnaround. We have never been concerned with corporate growth, shareholder return or the cheapest way to turn a profit. We have only ever wanted to do the best job we can for our clients, and to create American jobs in the process. As it turns out, that's exactly what our clients wanted. Over the last decade and a half, we have served clients from Maine to California and every state in between. We have serviced thousands of Motorola two way radios, and sold equally as much RadioTech two way radio accessory products. We became a national leader in our industry, not because of what we do, but how we do it. With our clients in mind, and quality assurance paramount, Radio Technology, Inc. has shown that American ingenuity not only builds ideas, but national business leaders. We have used Radio Technology, Inc. for all our radio needs: pagers, mobiles, and portables. Outstanding service is always there when needed. I would recommend them for any radio needs for any company or business. Motorola and the Motorola logo are trademarked by Motorola Inc. and do not indicate any affilation with the company, but refer to use of their parts, kits and products by Radio Technology, Inc.